Age limits once again 10-17 years old, application deadline June 13. And the epic-ness of 2011 continues! I hope Karin, Haruna, and/or Nanami get in! But then again I think I'd prefer them in their own epic trio unit. 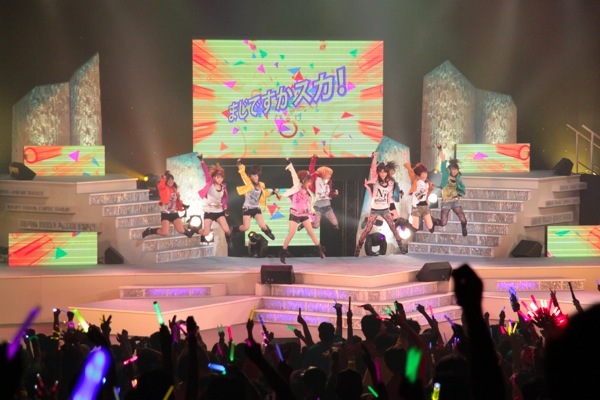 By my rough calculation, they'd only need one member age 15 or younger to do that once Ai-chan graduates. Probably means that more of the older members are set to graduate soon-ish? Time for a whole new MoMusu... again! Uuuugh, why am I in this fandom again? I really hope they still hold onto the older members for a good while to give us time to adjust to the younger Momusu.... but still-- more members!! Oh my goodness. 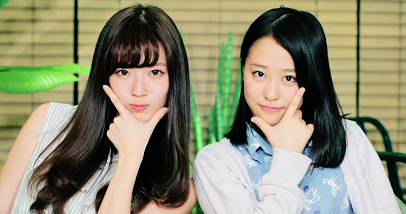 9th gen to be senpai after less than a year?! What a shock! I just hope Tsunku chooses wisely. He did well with 9th gen, but here's another batch to choose! YOU KNOW I GOTTA HAND IT TO THEM. THEY ALWAYS MANAGE TO SURPRISE ME. Aaaah, I haven't even had time to get to know/get used to 9th gen yet! YEAH THINKING ABOUT IT. HUGE MOMUSU AND ACCOMPANYING WEEKLY TV SHOW WHERE THEY CAN RUN WILD. YES PLEASE, DO WANT! Anything else will be a bit of a let down D: but only because I haven't had the time to fully digest the last audition and the upcoming graduation. You know, I seem to recall Tsunku saying he wouldn't let Momusu get above ten members again. Has he changed his mind? Is he just going to have a mass graduation for the older members next? Will he only choose one? Is he already planning the next graduation after Ai's? Are they going to join this year?! So many questions! So many uncertainties!! Hmm, not surprised, I was expecting another generation soon. but I'm not ready for my 9th gen to be overshadowed. Couple of news articles about the auditions, if someone cares to translate. It seems Tsunku is very desperate to raise MM to the top again. 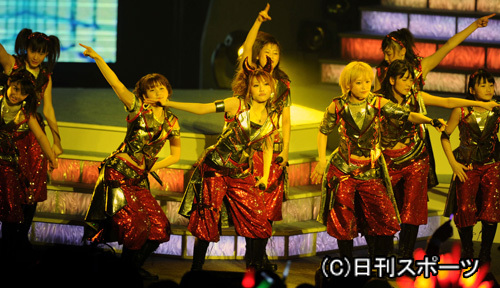 I just really hope Morning Musume won't end up becoming crappy. Page created in 0.392 seconds with 19 queries.